Welcome to Donald MacLachlan Jewelry Designs, located in Hamilton, MA. 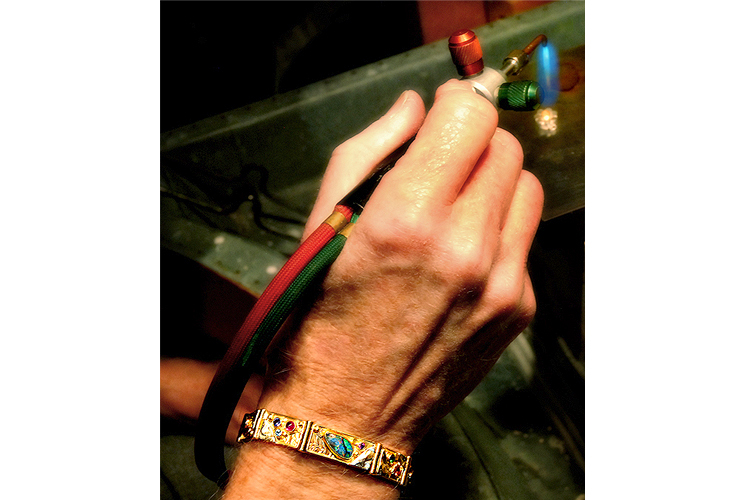 Using the finest gemstones, chosen for their color, brilliance and their innate healing properties, along with textured silver and gold, Spectrum Award winning designer Donald MacLachlan fabricates jewelry that is both beautiful and unique. Each piece is specially designed to delight the eye and to bring healing energy to the wearer. Donald's passion for color and texture is evident in his work which evokes a feeling of exuberance and well being. His loyal following of clients and collectors often say that once you wear a piece of Donald's jewelry, it is difficult to take it off. In fact, it becomes that one piece of jewelry which is worn every day.